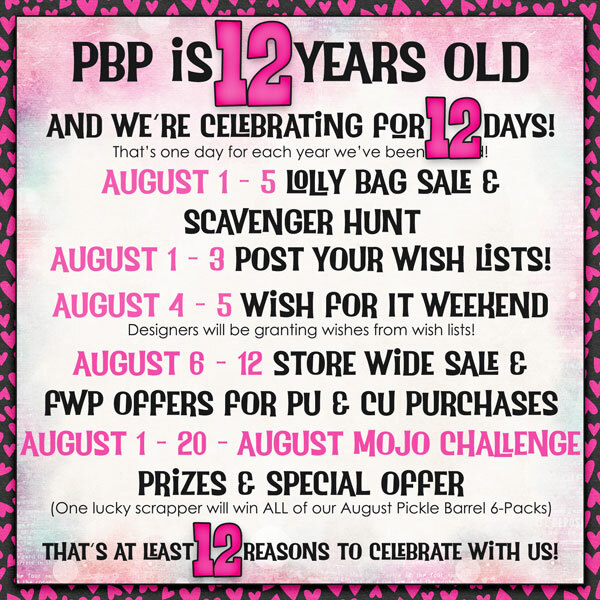 PBP Turns 11! $5 Lolly Bags, Scavenger Hunt & More ... all for you! ​How about some fun this week?!?! Pickleberrypop turns 11 this month - WHOA! We've got a bunch of things happening over the course of the next few weeks and you don't want to miss any of it! Get your game card downloaded over on our forum, and head to the shop to complete the scavenger hunt... you'll get a free sampler pack! ​I have THREE lolly bags on sale this week for only $5 each... and if you'd like to see what's in each bag, check out my newsletter! I've got a cutie PU lolly bag, slam full of elephants and some pretty punny stuff! It's all fairly ELEPHANT-astic! ​I also have a template lolly bag for you... 4 full packs for only $5! ​My third lolly bag is PACKED. You'll fall head over HEELS. It's PAWSitively FUR realz and you'll have a DOGGONE good time with it! ​Sounds awesome doesn't it?? I've seen some of the Pickle Barrel products coming in September and they are just gorgeous! Also, if you complete any Mojo Challenge listed in our forum using *just my products*, and I'll send you a little something extra via forum PM! Make sure you put your layout in both the Mojo Gallery and my Designer Gallery! 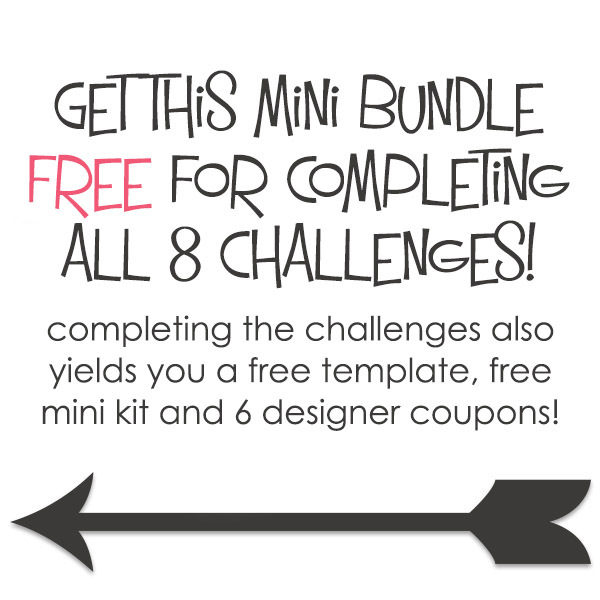 ​Here's a quick peek at some of our challenges-get over there and get em done! ​I hope you have as much fun with our birthday events as we did coming up with them! If you have any questions, don't hesitate to ask! Thanks for looking today and I hope you have a fantastic week!